A fellow ham approached me with a defective Kenwood TM-D700A transciever. The unit showed no signs of life. There was no display, and no response to pressing the power button. 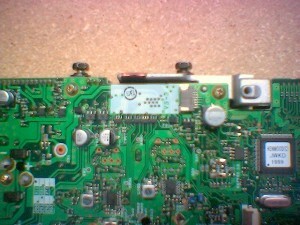 The only hint was that the cable between the radio and remote head had recently been repaired. Luckily, I have the service manual for this radio. It was essential in this repair. After checking the obvious (making sure that power was getting to the radio), I decided to check that power was getting to the remote head. In order for the soft power switch to operate, there is a constant supply to the remote head. 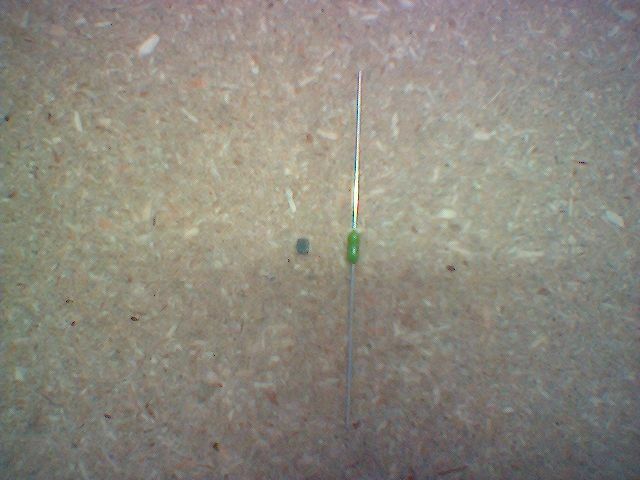 There should be 9.66v between pins 1 and 4 of the remote head cable. In this instance, there was no voltage at all. A simple power supply around D903, Q910, Q911 and Q913 creates the 9.66v signal from the raw 13.8v. Again, no voltage at all. The supply is protected by fuse F902. 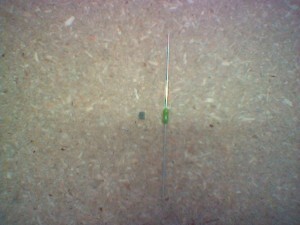 This is a 1.8A tiny surface mount fuse. Without the schematic, I probably wouldn’t have found it. 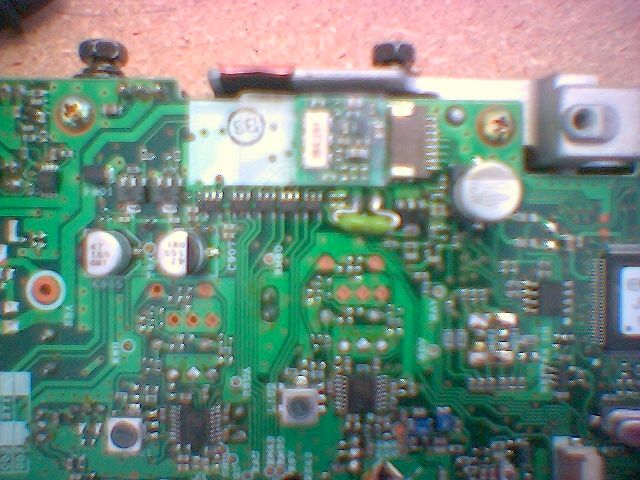 It’s located just below the voice synthesizer connector (see rather bad camera phone picture). 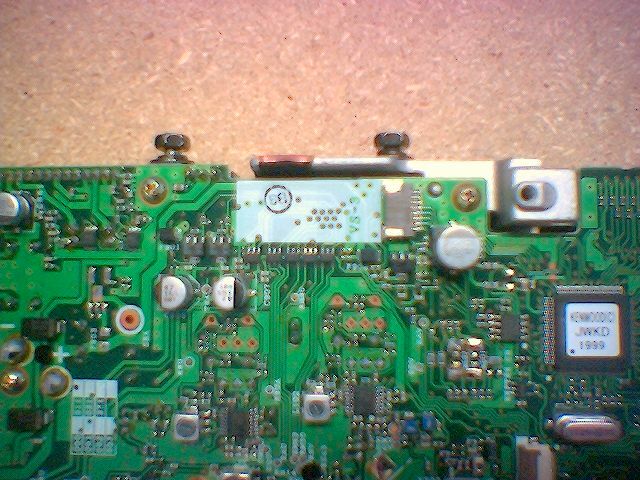 I was unable to locate such a tiny surface mount fuse, so I replaced it with a 2A picofuse. I carefully bent the picofuse leads to attach to the original solder pads. A small dab of glue gun glue held the fuse up off of the circuit board to avoid any shorts. After re-assembling the radio, all functionality checked out. I suspect that the original damage to the head cable caused a short which blew this fuse. This entry was posted in archive and tagged ham radio, kenwood, tm-d700a by ian. Bookmark the permalink.